Celebrity parents and their kids were out and about this week, enjoying the start to summer. 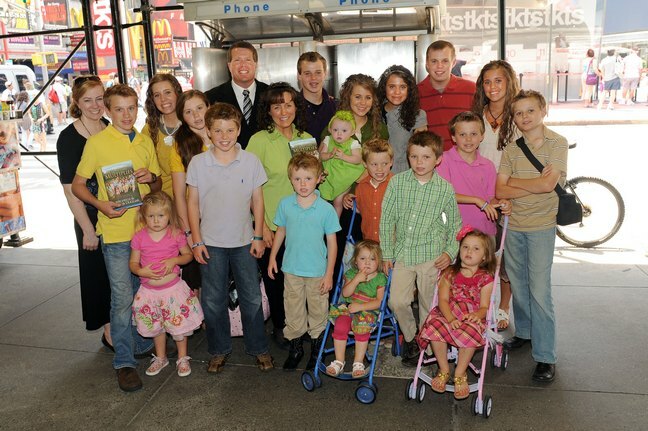 The Duggar family, stars of TLC's series "19 Kids and Counting", were in NYC to visit the "Today Show". Honor Marie, daughter of Jessica Alba and Cash Warren, dressed up in her favorite princess costume for her birthday last week. Actress Jodie Sweetin shows off her youngest daughter, Beatrix Carlin. Country singer and celebrity stepmom LeAnn Rimes did a little shopping with her stepson Mason Cibrian. Liev Schreiber, Naomi Watts, and their boys, Alexander (aka Sasha) and Samuel stroll around Tribeca together and grab some smoothies.